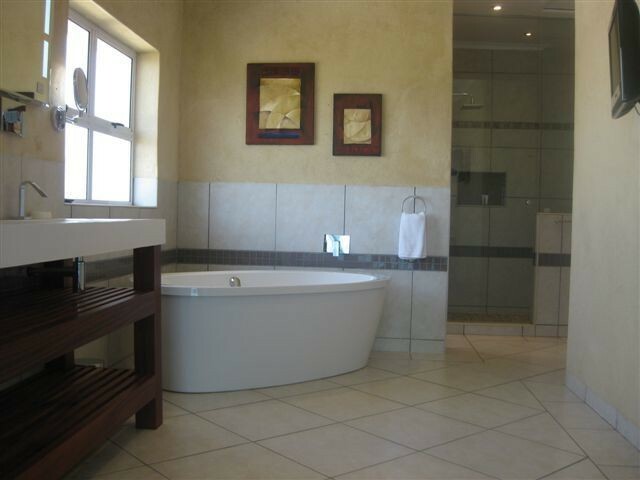 Villa de Mer Guest house is situated on the beachfront in Port Alfred, South Africa and is in a class of it's own. 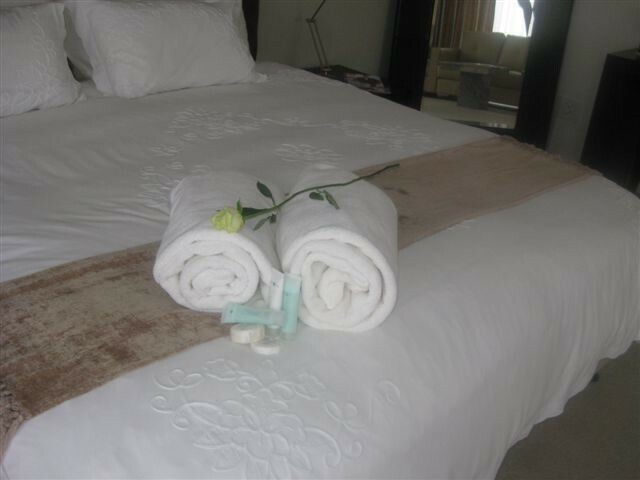 Established in 1996, this modern Mediterranean style Guest House has been awarded four stars by the Tourism Grading Council and, rated according to the high parameters set by the AA of South Africa, as Superior grading. Villa de Mer is a stylish, spacious and upmarket Guest House and comprises of six en-suite bedrooms that offers luxurious accommodation at affordable prices. The rooms range from Executive suites to Deluxe and Standard rooms that offers you flatscreen TV with DSTV, bar fridge, wall safe, underfloor heating, tea/coffee facilities, personalized bathroom amenities, bathrobes, hairdryer, beach towels, free Wi- Fi internet facilities. 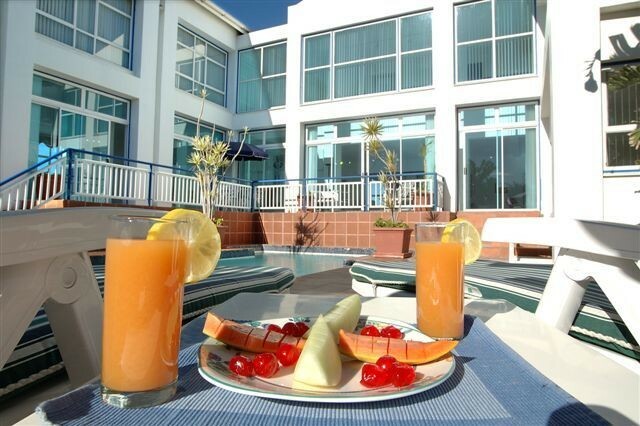 Scrumptious breakfasts are served in the dining room or next to the pool. The wide corridors, spacious upper lounge (offers DSTV Bouquet /DVD Player) that leads onto a balcony with stunning sea views and pristine white beaches, library and reading room downstairs overlooking the sheltered swimming pool and BBQ courtyard, Villa de Mer creates an atmosphere of tranquillity and peace. Fall asleep to the smell and sound of waves breaking on the beach. Cross the quiet road and walk the endless white beaches. Whether on business or holiday, Villa de Mer offers its own brand of local hospitality and home-away-from-home accommodation that is a welcome retreat from the hustle and bustle of everyday living. 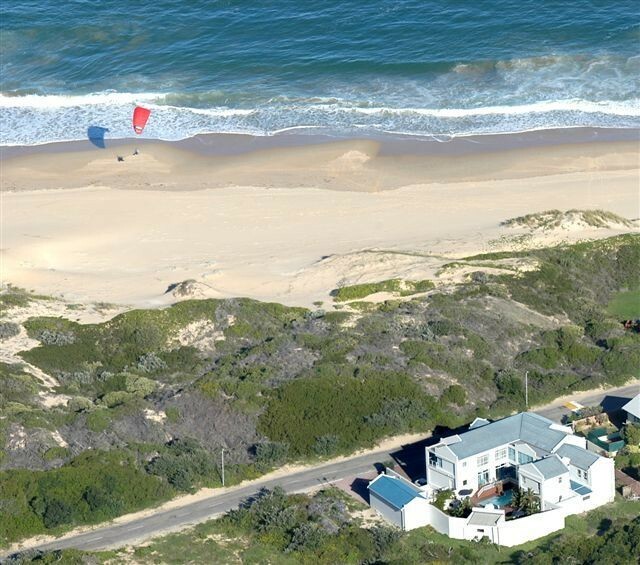 Villa de Mer is the perfect place to use as a base from which to explore the many sights of Port Alfred and surrounding area. Only a stone's throw from Port Alfred, is one of the best-known travel destinations in the world - the Addo Elephant Park where you can view the big five. There are numerous game reserves dotted around the area – all which are malaria free. 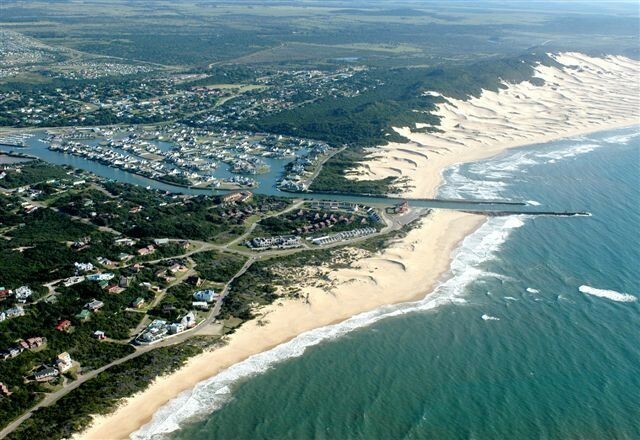 Port Alfred is also a popular destination for golfers. The Royal Golf Course is only a 3 min drive from Villa de Mer, whilst the Gary Player designed Golf course at the Fish River is a mere 20min drive up the road. Other activities available in Kowie are, river cruises, deep sea cruises, fishing, diving, hiking, horse riding and many more. Situated on the R72 midway between Port Elizabeth and East London, 150 km in each direction, Port Alfred has the best of two worlds to offer visitors. It is the perfect holiday destination on the Sunshine Coast. Airport transfers can be arranged. Safe, secure parking is available.